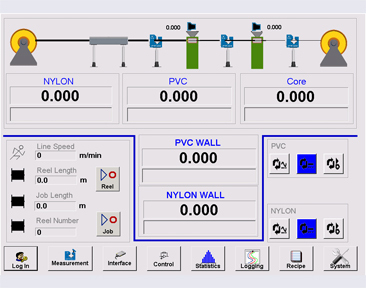 Proton Products advanced line control software runs on the NEXiS® CS5G touch screen industrial PC which controls either a NEXiS® CS1000-S or NEXiS® CS1000-T controller unit. Can control either one extruder or capstan drive (NEXiS® CS1000-S) or two extruders (NEXiS®CS1000-T) for double extrusion lines (such as for nylon jacketed, PVC-insulated THWN or THHN cables). NEXiS® CS1000-S controller can receive diameter measurement data from up to 3 DG gauges; NEXiS® CS1000-T controller can receive diameter measurement data from up to 6 DG gauges. Highly versatile and customizable control solution which can be adapted to almost any extrusion application. Integrates seamlessly with Proton Products InteliSENS®DG series diameter gauges for insulation diameter measurement. 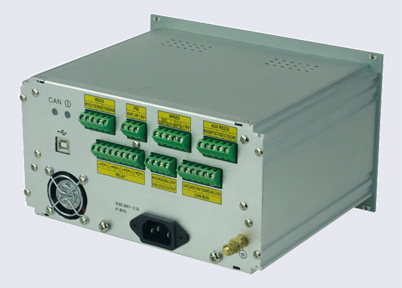 Housed in a 19-inch rack-mountable enclosure. The Proton Products NEXiS® CS5G Series of controllers are for use on wire insulation or other extrusion production lines. 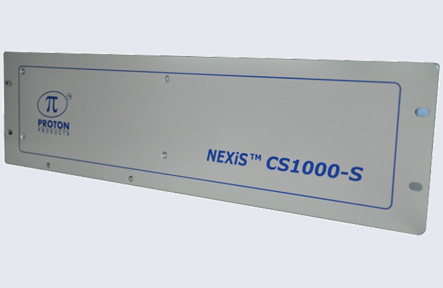 NEXiS® CS5G Systems consist of a NEXiS® CS5G touch screen PC connected to either a NEXiS® CS1000-S (single extruder or capstan drive) or NEXiS® CS1000-T (double extruder) controller. The NEXiS® CS5G functions as a sophisticated user interface for configuring and monitoring the NEXiS® CS1000 controller. NEXiS® CS1000 controllers connect to Proton Products diameter gauges and speed and length gauges for measurement of insulation diameter and line speed respectively. These measurements are then fed into a PI feedback controller whose fully-isolated and floating output may be used to drive insulation extruders or capstan drives. Insulation diameter is thus actively controlled and kept within tolerance by the NEXiS® CS1000 controller. NEXiS® CS5G + CS1000-S Single channel controller supports one PI feedback control output and up to 3 DG gauges. NEXiS® CS5G + CS1000-T Dual channel controller supports two PI feedback control outputs and up to 6 DG gauges. (NEXiS® CS1000-T controllers duplicate all functions below for a total of 6× DG Series gauges and 2× PI Controller outputs).